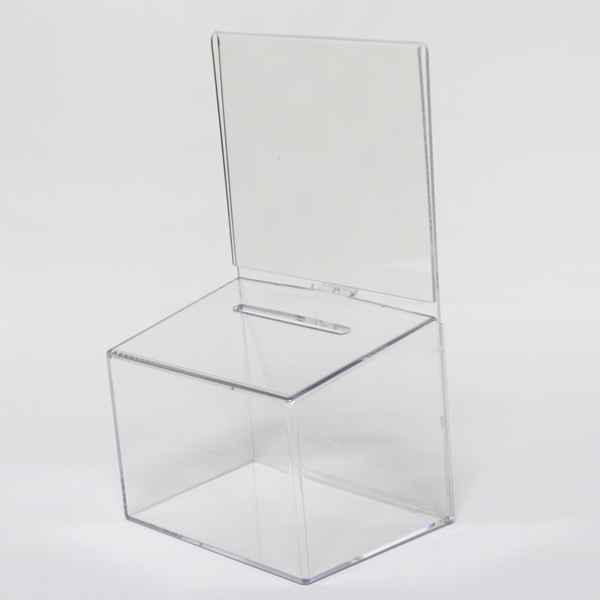 Clear Donation Box With Display. This box is our 210 with a taller header. This box does not come with a pad lock, but can be easily locked. 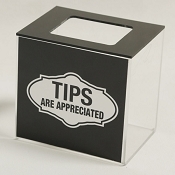 This box is perfect for collecting donations at fundraisers or next to a cash register. 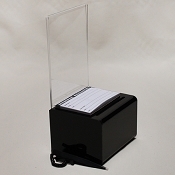 The size has been specifically constructed to be placed very close to a cash register. The area is very valuable so your box has to be small yet visible. Has an innovative securing clasp on back to secure header to box. You can also use a plastic tie to lock the box. Perfect size and great quality. When we fill them, we'll order more!